lifetime of pages: C'est Magnifique September Bits and Pieces Giveaway! C'est Magnifique September Bits and Pieces Giveaway! It's that time of month again! Leslie puts together the bits and pieces remaining from her kit and add-ons, and gives them away to one of our lucky blog readers. 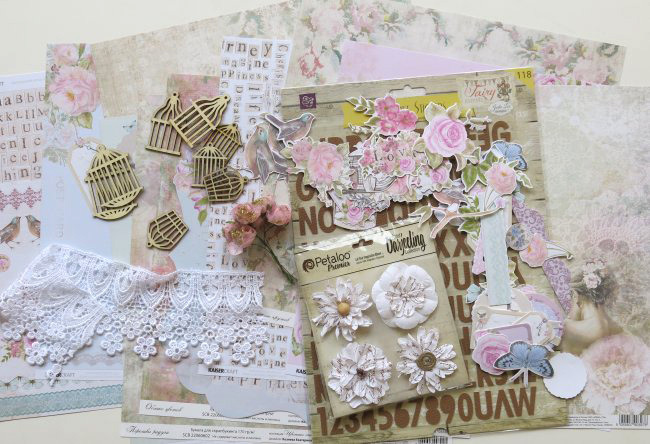 Here's what is up for grabs from our September Kit "Shabby Dreams". This is such a great kit to work with and you don't want to miss this chance! It's easy to enter-no creating involved-for all the details please visit the blog here.